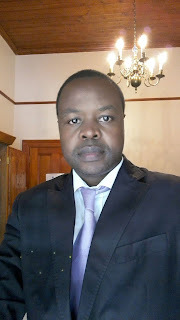 MASVINGO- One of the earliest universities in the country, Africa University (AU) in Mutare has appointed Stephene Chikozho as director of advancement and public affairs with effect from November 1 this year. Before he joined AU, Chikozho was the director of business development information and public relations at the Masvingo based Reformed Church University (RCU). At AU he will be leading and managing all functions of the office of advancement and public affairs where he will be mobilising resources across Africa and beyond (making friends for AU), marketing and alumni relations. “I am very excited with my new appointment at the AU after having served in a similar capacity at the RCU. I am also very grateful to the entire RCU family and specifically the founding vice chancellor Professor Wiseman Magwa for affording me the opportunity to serve the university and mentoring me to be what I am today. This will make my work easier at my current station,” said Chikozho. The 38 year old veteran communicator hails from Muzivi Village under Chief Nyajena in Masvingo South. Chikozho did his primary education at Chitaka Primary and went to Bulawayo for secondary education at Founders High School before enrolling for a Bachelor of Arts degree at the University of Zimbabwe (UZ). He is also a holder of Post Graduate Diploma in Media and Communication Studies from UZ, Master in Communication and Media Studies, Post Graduate Diploma in Resource Mobilisation and Project Management (COU) from the same institution. After college Chikozho joined Ernst & Young and CBZ Holdings in Harare until 2012 when he was appointed director at RCU when the university had only 70 students. Through his mobilisation skills the university now boast of more than 700 students including those on block release. During his tenure at RCU, Chikozho saw the institution signing an MoU with Stockton University in USA which assists by offering public lectures and donated books, signing of an MoU with Stellenbosch University of South Africa, funding from First Mutual of over $70 000 for needy students at the university and winning several awards from within and outside the country. He was also instrumental in the establishment of the annual golf day for the university both in Masvingo and Harare which has seen money for charity being raised. By the time he left, the institution had completed the construction of an administration block and is now geared for the building of multimillion dollar high rising accommodation facilities and students service centre 7kmk from Masvingo along Bulawayo Road. Chikozho is married and the couple is blessed with three children two boys and a girl.